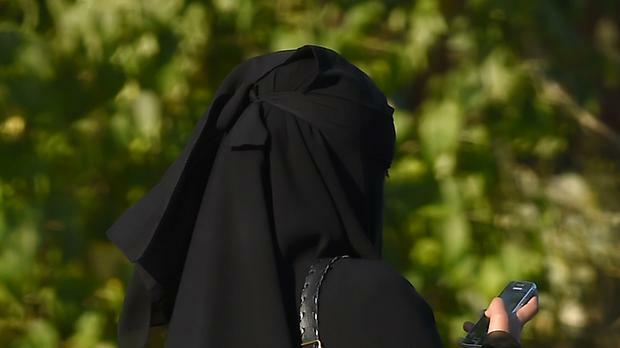 Boris Johnson has come under fire after saying that Muslim women wearing burkas “look like letter boxes” or bank robbers. The former foreign secretary came out against calls for a ban on the face-covering veils in public places, but described them as “absolutely ridiculous” and compared their wearers to rebellious teenagers. His comments, in response to the introduction of a burka ban in Denmark, sparked an angry response from Muslim organisations and MPs who accused him of stoking Islamophobia for political gain. The assistant secretary general of the Muslim Council of Britain, Miqdaad Versi, said Mr Johnson was “pandering to the far right”, while Labour MP David Lammy branded him a “pound-shop Donald Trump”. Labour’s Jess Phillips said she would report Mr Johnson to the Equality and Human Rights Commission. Writing in the Daily Telegraph, Mr Johnson said he felt “fully entitled” to expect women to remove face coverings when talking to him at his MP’s surgery, and said schools and universities should be able to take the same approach if a student “turns up … looking like a bank robber”. “If you tell me that the burka is oppressive, then I am with you,” he wrote. Businesses and government agencies should also be able to “enforce a dress code that enables their employees to interact with customers”, including by allowing them to see their faces, said Mr Johnson. A total ban would give a boost to radicals who claim there is a “clash of civilisations” between Islam and the West, fanning the flames of grievance and turning women into “martyrs”, he warned. And he said that a ban on burkas could lead to “a general crackdown on any public symbols of religious affiliation”. Mr Versi responded on Twitter: “Boris Johnson says a woman in niqab is ‘looking like a bank robber’ or ‘looking like letter boxes’. And Mr Lammy said: “Muslim women are having their burkas pulled off by thugs in our streets and Boris Johnson’s response is to mock them for ‘looking like letter boxes’. She warned he was in danger of “going full Morrissey”, in reference to the singer who has been mired in controversy over comments on immigration, and said her advice to Mr Johnson was that “being a buffoon, not being a racist and misogynist, (is) more British”.